Finding new formats (yesterday’s “Since Last March” with a thank you to Erin Baker) brings me to today’s revival of “Currently”. You can see last year’s post during the March Slicer Challenger of “Currently” here. Perusing early morning slices with an eye to delaying the drafted post. Responding to late night “slicers” who posted long after I closed out my computer. Searching TweetDeck for “last minute inspiration”. Listening to Voxer in order to glean updates from “the cousins”. Checking in on my graduate students on Moodle to see if any questions are posted. Jotting plans for that next big trip. Reflecting on my #OLW (One Little Word) Joy – How will it be a part of my day? Plotting that description of expenses for #tcrwp and #ncte15 and unpaid time at #ila15. Reading just one more chapter. Sending JUST one more email response before I forget. Considering my list of “to dos” for the day. Anticipating the learning online today with peers from across the state. Sipping just one more cup of coffee. Playing “yo-yo” with Mya who wants out, then in, and then back out AGAIN. Pushing the button on my post that says “Publish”! What are you doing, currently? So much happens in my early morning work. Keeping focused (last year’s #OLW) is hard when there are so many great slices to read! Dana posted a different version of “Currently” today as well. I love this format and know I will use it at least once this month. This style really worked for some of my students last year too. You DO sound busy! Thanks, Erika. I can’t wait to read Dana’s post as well. This is a fun way to think about AND use some active verbs that may be missing in other writing! You are a morning person! Hope it’s a great day. That is so true! Multi-tasking doesn’t really work, but mornings (for me) are all about the real work! Currently, what a great idea for a post, Fran. Currently, you are a busy lady and I am sure it is all good. Have a Happy Day 3. Thanks, Carol! It’s going to be a “joyful” Day 3! Thanks for reminding me of this structure, Fran! I used it last year and will probably pull it out again sometime during the month. I admire your tech expertise! Voxer and Moodle are not familiar to me. Have a great day! Some days I have to unplug in order to think and yet other days I’m all about the tech. This is one of my favorite structures! It’s already a GREAT day! Anna, I so love the parallel structure and all the practice with finding the “just right verb”! Thanks for stopping by and commenting! 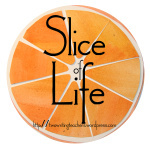 Currently I have the luxury of relaxing and reading slice after slice. You tackle the day and accomplish so many tasks. I’ll enjoy my lingering while I can. It is so fun to see and hear about the different rhythms of life. I will linger . . . later today! Enjoy your time! I really like this format, Fran. I will have to use it when I get to that point during the month when I can’t think of anything new to write. Thanks for the memory jog. I was glad to see the word playing in there, Fran! Fun, isn’t it? Good to see you! Love the currently format! Currently listening to my daughter’s basketball pasta party winding its way into some kind of thumper game. There is a fun element in reporting the current events! It can also grow and grow! Thanks for stopping by! No rest for the wicked, is there, Fran? And all that before you even left the house? Busy, busy, busy. Bet we could all use a breather. Hope you are staying well. No rest and pretty darn wicked! I’m a morning person!!! Well, for sure! And you? How did your school wide reading go? And did you see why Vicki was in Tara’s class? I am NOT a morning person at all! Students and staff are loving The Invisible Boy. Tomorrow on morning announcements we give away 12 copies of the book: 2 per grade level. I did not see why Vicki was in Tara’s class. What’s the news? I’m intrigued! I love how you describe playing Yo-yo with Maya. Perfect description! Sometimes I feel like a yo-yo as a teacher during my busy day. I definitely will try this format! I hope it goes well with you! Mya has me so well-trained! Saving-your post in case I am in need of a new idea. I love it, Fran. This is such a fun format! Thanks for stopping by!